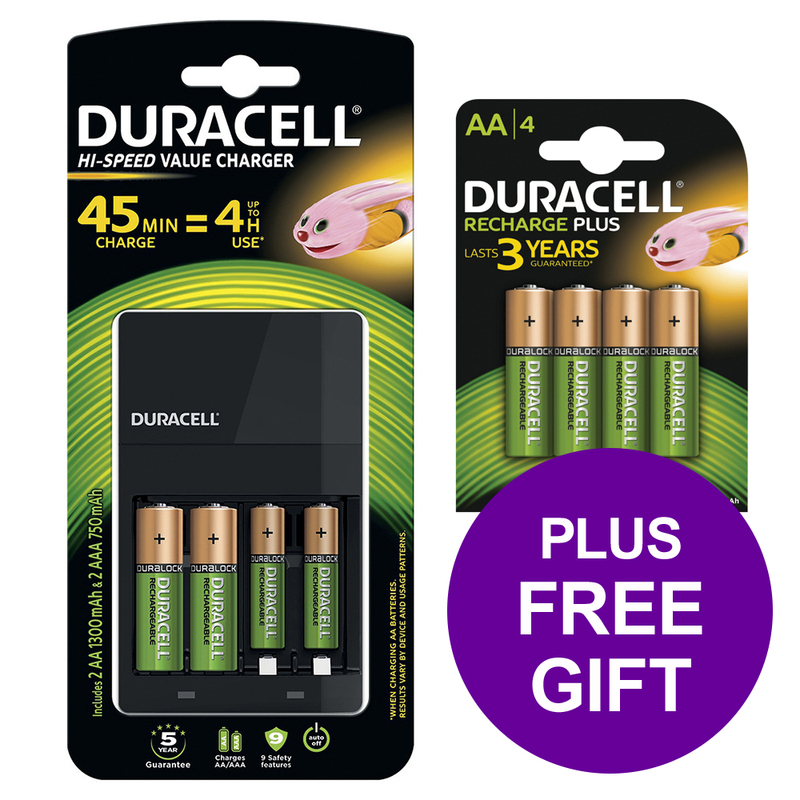 Buy Duracell 45 Minute Charger 2AA & 2AAA and get one pack of 4 Duracell Stay Charged AA batteries for free. 4 hours of use after just 45 minutes of charge! 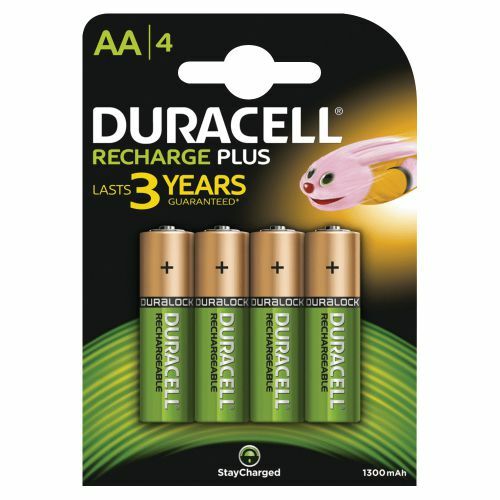 A simple, safe and reliable solution for your daily power needs, this charger can charge 4 AA batteries in 4 hours. Its 5-year Duracell guarantee, partial charge indicator, automatic shut-off to prevent overheating and nine safety features mean safe use and money saved on disposable cells. The devices you use have different energy needs. Duracell offers a collection of high speed chargers to satisfy both high drain and low drain devices. 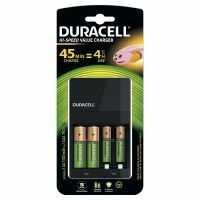 Whether it is a quick charge of 15 minutes to use your electric toothbrush or you need to charge different battery types at the same time, Duracell provides you with a reliable rechargeable power solution. 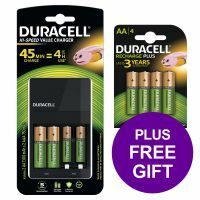 All Duracell chargers come with Duracell’s guarantee and up to 10 safety features so you can be sure that your Duracell charger will provide reliable power for many years to come. 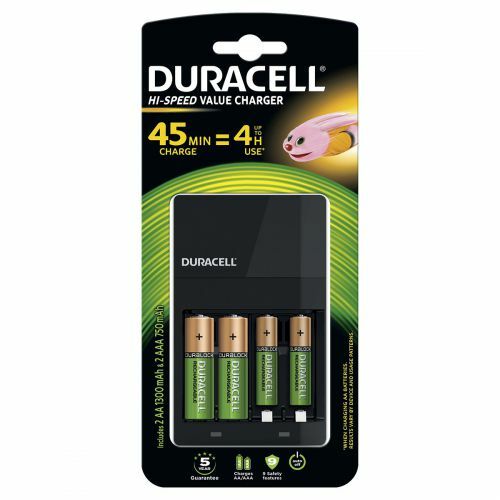 Duracell’s high speed chargers provide long-lasting performance and power you can rely on.